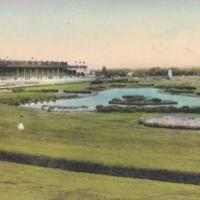 View looking at the main grandstand from the infield lake. 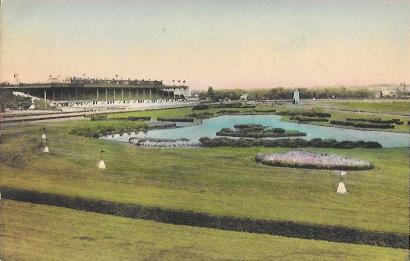 (Hand colored), “View looking at the main grandstand, as seen from the infield lake. (Handcolored) ,” Hofstra University Library Special Collections: Digital Collections, accessed April 21, 2019, https://omeka.hofstra.edu/items/show/1776.